Shopping for Batman Sporting Goods? Need to kill some time? Want to kick something around? 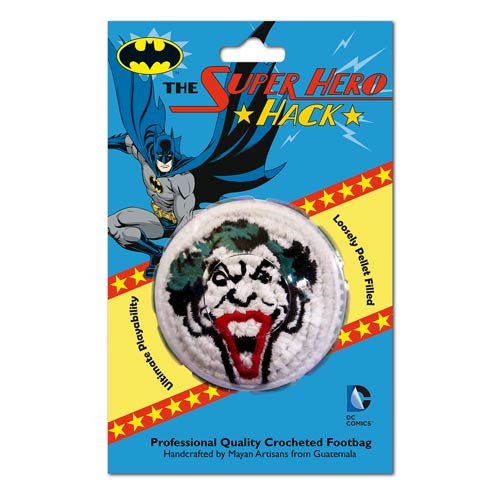 The Batman The Joker Embroidered Crocheted Footbag is the solution to the problem. The Batman The Joker Embroidered Crocheted Footbag holds up to heavy use. Made of crocheted cotton, it's slack-filled for superior control during kicks and tricks. Ages 10 and up.